Miroslava Duma for American Retro's Oz Collection. The American Retro 'Oz: The Great and Powerful' collection is filled with otherworldly pieces guaranteed to spice up any wardrobe! Miroslava Duma is the image of this unique range of goodies! Miroslava Duma poses for the American Retro's 'Oz: The Great and Powerful' collection! Well, the gorgeous former Harper's Bazaar Russia editor and current freelance writer looks stunning as always sporting some really cool piece from this special line inspired by the remake of the famous Disney film. In order to create these unique goodies, American Retro collaborated with Russian designer Alexander Terekhov. The result? Well, just a beautiful range of outstanding pieces! So, every fashionista eager to flaunt her fashion credentials and try something a little bit bolder and jaw-dropping should definitely check out the latest American Retro Oz collection. Why? Because there are never-seen-before designs and to-die-for patterns that will add an otherworldly flare to your appearance. Trust us, these pieces are real conversation-starters! Welcome to the fantastical world of Oz! 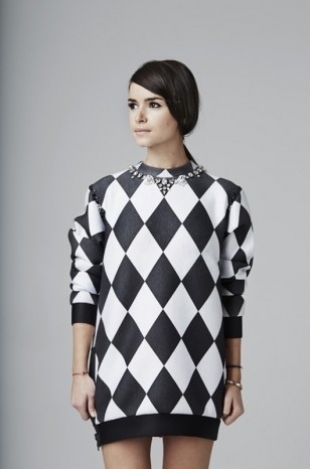 Pint-sized Miroslava Duma rocks some seriously stylish pieces from the American Retro x Alexander Terekhov collection. There are two main prints used for the items in this line. First, there are the graphic ones that reminds us of a magical day spent at the circus. These graphics come in black and white but also in bright eye-popping hues. The other motifs used are inspired by the little porcelain girl and represent the broken pieces of a plate. The American Retro 'Oz: The Great and Powerful' collection will be available in all American Retro stores starting May 15. We're pretty sure that the line will draw the attention of worldwide trendsetters who love to pull off statement-making combos. So yes, it's playtime! Have fun this season trying something different and traffic-stopping. Shirts, vests, skirts, dresses, jumpers, blazers, pants... Each piece in American Retro's Oz collection gets a mega-boost and receives a high dose of awesomeness and coolness. 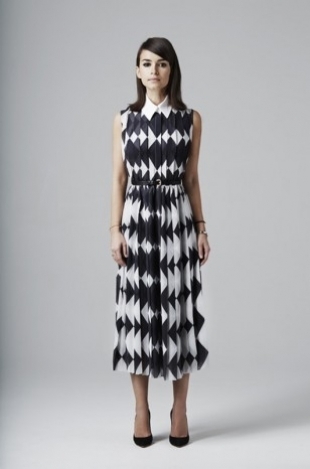 Just take a sneak peek at the lookbook featuring Miroslava Duma and see it for yourself! Totally amazing and unique!